October 29, 2005–Ring of Honor: Ricky Reyes defeated Mitch Franklin in 22 seconds..
January 28, 2006–Ring of Honor: Smash Bradley & Bobby Dempsey defeated Rhett Titus & Mitch Franklin..
February 11, 2006–Ring of Honor: Adam Pearce beat Mitch Franklin & Pelle Primeau in a 3 Way Match..
February 25, 2006–Ring of Honor: Bobby Dempsey defeated Mitch Franklin..
March 25, 2006–Ring of Honor: Mitch Franklin defeated Mike Tobin..
March 30, 2006–ROH: Mitch Franklin beat Smash Bradley and Bobby Dempsey and Derrick Dempsey in a 4-WAY Elimination Match..
March 31, 2006–Ring of Honor: Homicide defeated Mitch Franklin..
April 29, 2006–Ring of Honor: Shane Hagadorn defeated Mitch Franklin and Bobby Dempsey and Apocalypse in 4-WAY..
May 12, 2006–ROH: Pelle Primeau beat Mitch Franklin and Shane Hagadorn and Derrick Dempsey in a 4-WAY Elimination Match..
August 26, 2006–Ring of Honor: C.J Otis defeated Mitch Franklin..
September 15, 2006–Ring of Honor: Derrick Dempsey defeated Mitch Franklin..
October 6, 2006–Ring of Honor: Bobby Dempsey defeated Mitch Franklin and Eddie Osiris in a 3-WAY..
October 28, 2006–Ring of Honor: Rhett Titus defeated Mitch Franklin..
November 3, 2006–Ring of Honor: Mitch Franklin, Bobby Dempsey & Rhett Titus beat Ernie Osiris, Thomas Penmanship & Alex Payne..
December 9, 2006–Ring of Honor: Team Underground (Eric Priest & Chandler McClure) beat Ernie Osiris & Mitch Franklin..
February 17, 2007–Ring of Honor: “American Angel” Sara Del Ray defeated Mitch Franklin by Submission in a dark match..
March 31, 2007–Ring of Honor: Erick Stevens defeated Mitch Franklin in a 10 minute Do or Die Match..
May 11, 2007–Ring of Honor: Tank Toland defeated Mitch Franklin in a squash match..
June 8, 2007–Ring of Honor: Mitch Franklin & Rhett Titus defeated Ash & Michael Elgin..
June 22, 2007–Ring of Honor: Mitch Franklin defeated Jon Moxley in a dark match..
July 14, 2007–Blackball’d Wrestling Organization: Shane Hagadorn & Rhett Titus beat Mitch Franklin & Alex Payne..
July 27, 2007 – Ring of Honor: Shane Hagadorn & Alex “Sugarfoot” Payne defeated Mitch Franklin & Ernie Osiris. July 28, 2007 – Ring of Honor: Mitch Franklin & Ernie Osiris & Gran Akuma defeated Rhett Titus & Alex Payne & Shane Hagadorn. August 10, 2007 – ROH: Shane Hagadorn beat Alex Payne and Rhett Titus and Bobby Dempsey and Mitch Franklin and Ernie Osiris..
August 11, 2007 – Ring of Honor: Mitch Franklin & Pelle Primeau defeated Up In Smoke (Cheech & Cloudy)..
August 24, 2007 – Ring of Honor: Mitch Franklin defeated Pelle Primeau to win the ROH Top of the Class Trophy! August 25, 2007 – Ring of Honor: Jimmy Jacobs defeated Mitch Franklin in New York City, New York..
September 14, 2007 – Ring of Honor: The YRR (Chasyn Rance & Kenny King) defeated Mitch Franklin & Alex Payne..
September 15, 2007 – Ring of Honor: Mitch Franklin defeated Alex “Sugarfoot” Payne to retain the Top of the Class Trophy..
October 5, 2007 – Ring of Honor: The Age Of The Fall (Jimmy Jacobs & Tyler Black) defeated Mitch Franklin & Ernie Osiris..
October 6, 2007 – Ring of Honor: Alex “Sugarfoot” Payne & Ernie Osiris defeated Mitch Franklin & Rhett Titus..
November 2, 2007 – Ring of Honor: Ernie Osirus defeated Mitch Franklin to win the ROH Top of Class Trophy..
November 24, 2007–ACE Action Zone: Grim Reefer defeated Mitch Franklin after hitting a piledriver. 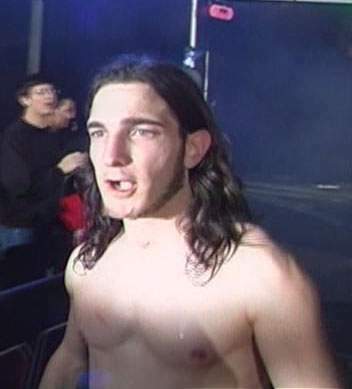 December 1, 2007 – Ring of Honor: Ernie Osirus defeated Mitch Franklin with a Standing Shooting Star Press (dark match)..
December 29, 2007 – Ring of Honor: Necro Butcher defeated Mitch Franklin and Matt Cross and Jigsaw in a 4-WAY Elimination..
December 30, 2007 – Ring of Honor: Bobby Dempsey defeated Mitch Franklin in a dark match..
February 22, 2008 – Ring of Honor: Jason Blade defeated Human Tornado and Pelle Primeau and Mitch Frankin in a 4-WAY..
April 11, 2008 – Ring of Honor: Mitch Franklin defeated ????? in a Pre-show dark match..
April 12, 2008 – Ring of Honor: Jigsaw w/Julius Smokes defeated Mitch Franklin..
April 18, 2008 – ROH: Pelle Primeau & Mitch Franklin & Ernie Osiris beat Danny Daniels & Michael Elgin & Michael Nakazawa..
April 19, 2008 – Ring of Honor: Mitch Franklin vs. Alex Payne ended in a No Contest after Necro Butcher destroyed them both..
~~~~~~~~~~~~~~~~~~~~~~~~~~~~~Necro Butcher defeated Alex “Sugarfoot” Payne & Mitch Franklin in a Handicap match..
May 9, 2008 – Ring of Honor: Rhett Titus & Rex Sterling defeated Mitch Franklin & Sean Denny in a dark match..
June 6, 2008 – Ring of Honor: Ernie Osiris defeated Mitch Franklin to retain the Top of Class Trophy..
June 7, 2008 – Ring of Honor: Shane Hagadorn & Mitch Franklin defeated The Osirian Portal (Ophidian & Pharaoh) in a dark match..
June 27, 2008 – Ring of Honor: Tank Toland & Shane Hagadorn w/Larry Sweeney defeated Mitch Franklin & Silas Young..
June 28, 2008 – Ring of Honor: Josh Raymond & C.J. Otis defeated Kyle Durden & Mitch Franklin in a dark match..
July 15, 2008–KYDA Pro Wrestling: Mitch Franklin vs. Rhett Titus ended in a No Contest..
July 15, 2008–KYDA Pro Wrestling: True Talent Inc. defeated Mitch Franklin & Rhett Titus..
July 26, 2008 – Ring of Honor: The Briscoe Brothers defeated Mitch Franklin & Silas Young in a tag team match..
August 15, 2008 – Ring of Honor: Shane Hollister & Mitch Franklin defeated The Ninjas in a dark match..
August 16, 2008 – Ring of Honor: Jigsaw & Ruckus beat The Briscoes and Mitch Franklin & Trik Davis and The Phoenix Twins..
September 19, 2008 – Ring of Honor: Chasyn Rance w/The YRR defeated Mitch Franklin..
October 24, 2008 – Ring of Honor: Rhett Titus defeated Grizzly Redwood (Mitch Franklin) with the Razor’s Edge..
October 25, 2008 – Ring of Honor: Vin Gerard defeated Grizzly Redwood (Mitch Franklin) in a singles match..
November 8, 2008 – Ring of Honor: Grizzly Redwood (Mitch Franklin) defeated Alex “Sugarfoot” Payne..
November 15, 2008–Forgotten Championship Wrestling: Grizzly Redwood defeated Ernie Osirus in Brooklyn, New York..
November 21, 2008 – Ring of Honor: Go Shiozaki beat Rhett Titus and Grizzly Redwood and Sami Callahan in a 4-Corner Survival..
November 22, 2008 – Ring of Honor: The Phoenix Twins defeated Grizzly Redwood & Aaron Stock in a Tag Team Dark Match..
December 5, 2008 – Ring of Honor: Rhett Titus & Sal Rinuaro defeated Grizzly Redwood & Bushwhacker Luke..
December 6, 2008 – Ring of Honor: Grizzly Redwood & Bushwhacker Luke defeated Irish Airborne (Jake & Dave Crist)..
December 19, 2008–Full Impact Pro: Rhett Titus defeated Grizzly Redwood (Mitch Franklin) in Melbourne, Florida..
December 20, 2008–Full Impact Pro: Grizzly Redwood & The Loggers defeated Rhett Titus & The Heartbreak Assassins. January 17, 2009 – Ring of Honor: Chris Escobar vs. Grizzly Redwood ended in a No Contest after Bison Smith attacked both men..
January 30, 2009 – Ring of Honor: Irish Airborne vs. Grizzly Redwood & ??? ended in a No Contest when Bison Smith attacked! January 31, 2009 – Ring of Honor (PPV Taping): Grizzly Redwood defeated “Addicted to Love” Rhett Titus in a singles match..
February 27, 2009 – Ring of Honor: Grizzly Redwood defeated “Dirty” Ernie Osiris in a dark match..
February 28, 2009 – Ring of Honor: Grizzly Redwood defeated Corey Abbott in a dark match..
March 1, 2009 – ROH HDTV Taping (Episode #6): The Dark City Fight Club defeated Grizzly Redwood & Andy Ridge. March 13, 2009 – Ring of Honor: Aaron Scott & Grizzly Redwood defeated Sigmon & Shawn Shultz in a dark match..
April 9, 2009–ROH HDTV Taping (Episode #9): The Dark City Fight Club defeated Alex Payne & Grizzly Redwood..
April 10, 2009–ROH HDTV Taping: Grizzly Redwood & Andy Ridge defeated ????? & ????? in a dark match..
April 17, 2009 – Ring of Honor: Grizzly Redwood vs. Alex “Sugarfot” Payne ended in a time limit draw..
April 18, 2009 – Ring of Honor: Josh Raymond & Christian Able defeated Grizzly Redwood & Bobby Dempsey (dark match)..
April 25, 2009 – Ring of Honor: Grizzly Redwood defeated Andy “Right Leg” Ridge in a dark match..
May 8, 2009 – Ring of Honor: Grizzly Redwood defeated Ernie Osiris in a dark match..
May 9, 2009 – Ring of Honor: Rhett Titus & Kenny King defeated Grizzly Redwood & Alex Payne in a tag team match..
June 12, 2009 – ROH: Colt Cabana & Necro Butcher & Grizzly Redwood beat Jimmy Rave & Claudio Castagnoli & Ernie Osiris..
~~~Colt Cabana noticed that both of his partners were wrestling barefoot, so he took off his boots and wrestled barefoot as well! June 26, 2009 – Ring of Honor: Grizzly Redwood defeated Silas Young in a singles match..
August 14, 2009–ROH HDTV Taping: Austin Aries defeated Grizzly Redwood to retain the ROH World title..
September 10, 2009–ROH HDTV Taping: Claudio Castagnoli defeated Grizzly Redwood..
September 19, 2009–ROH: Rasche Brown beat Silas Young & Grizzly Redwood & Alex Payne & Sal Rinauro & Kyle O’Reilly (6-WAY). September 26, 2009–Ring of Honor: Roderick Strong beat Delirious and Sonjay Dutt and Grizzly Redwood in a 4-Corner Survival..
November 5, 2009–ROH TV Tapings: Grizzly Redwood & Bobby Dempsey defeated John Kermon & Andy Ridge..
November 6, 2009–ROH TV Tapings: Grizzly Redwood defeated Robbie Marcel in a dark match..
November 7, 2009–Ring of Honor: Tyler Black vs. Kenny King didn’t get started because Austin Aries & Rhett Titus attacked Black..
~~~Colt Cabana & Tyler Black & Grizzly Redwood defeated Austin Aries & Kenny King & Rhett Titus in a six man tag team match..
November 14, 2009–Ring of Honor: Colt Cabana defeated Delirious and Claudio Castagnoli and Grizzly Redwood in a 4-WAY..
December 18, 2009–Ring of Honor: Grizzly Redwood defeated Sonjay Dutt..
October 23, 2010–NWA Dawg Pound: Joey Spades defeated Grizzly Redwood in Frankinville, New Jersey..
March 13, 2011–ROH TV: The Bravado Brothers defeated Bobby Dempsey & Grizzly Redwood. March 17, 2011 – Defy or Deny: The All Night Express defeated Steve Corino & Grizzly Redwood. November 18, 2011–Glory by Honor: Michael Elgin defeated Adam Cole, Mike Bennett and Grizzly Redwood. January 20, 2012–Homecoming: Tommaso Ciampa defeated Grizzly Redwood, Andy “Right Leg” Ridge, Mike Bennett in a 4 corners match. January 28, 2012–ROH TV: Michael Elgin defeated Grizzly Redwood. December 16, 2012–Final Battle: Grizzly Redwood defeated QT Marshall in the preshow. March 30, 2013 – Border Wars: Jimmy Jacobs & Jimmy Rave defeated Mike Mondo & Grizzly Redwood. May 19, 2013 – ROH TV: Jay Lethal & Grizzly Redwood defeated Michael Elgin by DQ.